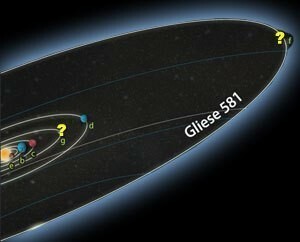 A potentially habitable, Earth-like world has been discovered around the nearest star from the Sun, Proxima Centauri. It sounds pretty cool when you say it like that. While it is a great discovery, there are reasons to be cautious. To begin with, this particular planet, known as Proxima B, was discovered using the Dopper method rather than the transit method. This means it was discovered by looking at how the light from Proxima Centauri shifts due to the motion of its surface. While such Doppler effects can be due to the gravitational influence of an orbiting planet, it can also be caused by things like solar flares. Sometimes this leads to a false positive, so we really need more data to be sure it’s really a planet. Assuming the data holds up, calling the planet “Earth-like” is a bit optimistic. Since the Doppler method only measured stellar motion towards us and away from us (radial motion) it only gives the minimum mass of a planet. If the planet’s orbit is highly tilted relative to us, then its mass will be larger. The quoted size of 1.3 Earth masses is actually the low end, and it’s more likely to have a mass of 2 – 3 Earths, making it more of a super-Earth planet. The planet is also in Proxima Centauri’s habitable zone, which again means less than you might think. The “habitable zone” of a star is just a simple calculation of an distance where liquid water could exist on a planetary surface. Actual surface temperature depends not only on distance, but also atmospheric density and composition. One need only look at the variation between Venus, Earth, and Mars to see how much that matters. Since Proxima Centauri is a red dwarf, there are other challenges to habitability. For one, any planet in a red dwarf’s habitable zone is likely to be tidally locked, with one side under constant noon while the other side is in constant night. Such planets are likely to experience constant extremes of temperature, rather than a reasonable Earth-like variation. Then there is the fact that red dwarfs like Proxima Centauri are quite active, with large solar flares and bursts of x-rays that could fry a close planet like Proxima B. All that said, there is some reason to be optimistic. Computer simulations of the planet’s orbit indicate that it likely formed farther away from Proxima Centauri, and therefore is likely to have plenty of water. It’s mass is large enough that it could have a strong magnetic field like Earth due to an iron core and geologic activity, and this could protect the planet’s surface from solar flares and x-rays. Calling the planet potentially habitable is not too much of a stretch. There is a chance that if its mass is on the low end and conditions are favorable it could look somewhat like Earth. But the real draw for Proxima B is that it is only 4 light years away. That’s still about 180,000 times the average distance from Earth to Mars, but it is close enough that we can imagine sending a space probe to Proxima B. The proposed Project Longshot mission envisioned just such a mission that would take about 100 years. It’s a long mission, but humans have undertaken century-long projects before. Just as the call of the Moon led to the Apollo mission, and Mars inspires near-future missions, Proxima B inspires a mission to the nearest star. That’s the power of a planet like Proxima B. It allows us to hear the call of the wild. Elsewhere, I read that the “year” of this planet, if it exists, is about 11.2 earth days, and that its distance from the red dwarf star is about .05 au, about 1/20th the distance earth is from the sun. Would it be tidally locked at that distance? Tidal locking and temperature variability are going to be huge problems for red dwarf habitability. Based on the fact we don’t see any alien signals, suspect we’re going to find that life and the development of technological civilization each requires some very particular circumstances, perhaps unique enough that only a small fraction of observable universes would be predicted to ever give rise to a spacefaring civilization. The power of the weak anthropic principle may only just be beginning to be appreciated. This is a great blog, btw, found it by searching for and reading your excellent summary of the quantum correction so-called “no big bang” paper. Science reporting is often terrible, keep up the good work. Another problem with Proxima b, assuming it would be a rocky world, which is quite a leap, is that there would be unimaginable seismic and likely volcanic activity. Can you imagine tidal bulges of magma surging beneath the planet’s crust every 11 earth days? It is thought that to be orbiting at the distance we believe would automatically necessitate the planet being tidally locked. So the tidal magma surges may not be a factor, unless there are other massive planets in relatively close orbits as well. What would certainly be a factor, though, are the atmospheric and hydrological conditions brought about by the constant temperature differential between the facing and opposing sides of the planet. If it indeed even has water. But, the Messenger probe returned date that indicates Mercury isn’t in a true tidal lock with the Sun, though it is not a large enough variation to go rewriting the physics books. I have wondered if this has something to do with the frame dragging that Mercury experiences being in such close proximity to the Sun’s gravity well. It’s already known that this is the cause for the discrepancy observed in Mercury’s precession versus standard Newtonian models, and Relativity predicted exactly what we observe. Perhaps the mass of P. Centauri is not great enough or the orbit is too distant to have any effect. If it is a true tidal lock, then the “twilight” zones along the terminator could be environmentally stable enough to support conditions favorable to life. But if these zones are always slowly moving, perhaps not. Ultimately, we will have to wait for the next generation of exoplanet-capable observatories to come online and maybe we can get a good image of it and actually see what the atmosphere and surface conditions are via spectrography. Or wait around for things like Starshot and Longshot to come to fruition. But neither of us will likely be around to see what those projects return. Well… so yes, on the one hand this is quite a potentially interesting discovery. It also reminded me of Stephen Baxter’s novel, “PROXIMA” which describes the tale of a somewhat habitable planet circling in the habitable-zone of Proxima-Centauri, and the ways in which biology on that planet adopted to deal with pulses of strong x-ray emissions. I mean if you think about it: here on Earth we’ve got simple bacteria adopting to life living right up against nuclear fuel rods! So I personally feel the potential for life around red-dwarfs is a STRONG possibility! 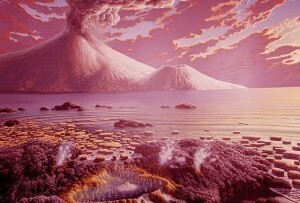 The way that life gets started might be very much like here on Earth, in which it is thought to begin right next hydro thermal vents. If such initial life as several miles beneath the surface, that would provide a great shield to Red-Dwarf-x-ray-outbursts, giving life time to evolve and adapt to the harsher environment beyond that planet’s ocean (just as Earth bacteria is just now beginning to adapt to life on nuclear-fuel rods! If you want to know if Proxima B is a planet you have to have correct data to consider it one. My data shows me you can see apperences of several high mountain ranges in the form of pyramids. The other side you can see a city covered up with white clouds, divided land, deep ravin falling with a water. In my opinion, it looks like a planet.